What were stamp approvals? Well the clue lies in the name. They were, simply put, stamps of which you approve. And you "approve" of them by looking at them and making up your own mind whether to buy or not. Anyone who collected stamps as a youngster will remember going to a local shop and buying packets of foreign stamps off a card behind the counter or even buying a bump big bag of assorted stamps. Collecting was simple all you needed was an album. A packet of stamp hinges to attach the stamps to the book and off you went. 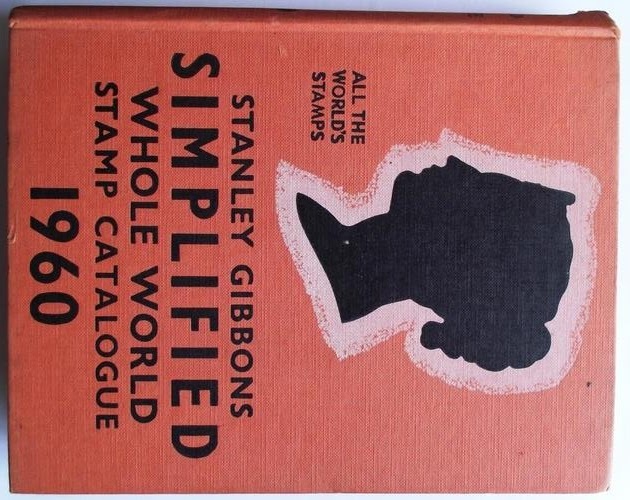 If you were really serious about collecting stamps you saved up and bought a Stanley Gibbons Stamp Catalogue. But what has this to do with Approvals? This method of buying stamps was introduced to me by my father, I do not know why because apart from a couple of albums he had had since he was a boy he was no great philatelist. I suppose he must have ordered the packets of stamps and paid for those I wanted but I remember nothing of this side of the business, all I knew was that I eagerly awaited the arrival of the next packet of stamps through the post. If my memory serves me correctly I was never allowed to have any expensive stamps just ‘different’ ones. I also do not remember paying my father for these purchases so I assume he must have paid for the purchased items and returned the unwanted stamps in the return envelope provided. It is a complete mystery to me where my stamp albums went I do not remember selling them of giving them away so all I can assume is that they were dumped after I left home and my parents moved. However one thing that I do remember about my stamp collecting days was my mother regularly saying that it was a good way for me to learn geography and about the World. Buying stamps "on approval" is one of the oldest and most traditional ways of building a collection. The Select @home Approvals service is now the longest established service in the UK and still under its original ownership. Other services have been around longer in name, but they are trading under a change of ownership. 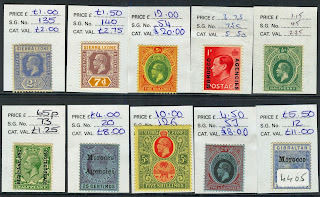 There is perhaps an association in some people's minds that stamp approvals mean nothing other than the cheaper, colourful and stamps that you might expect to find in a commercially manufactured packet of stamps or a juvenile collection. 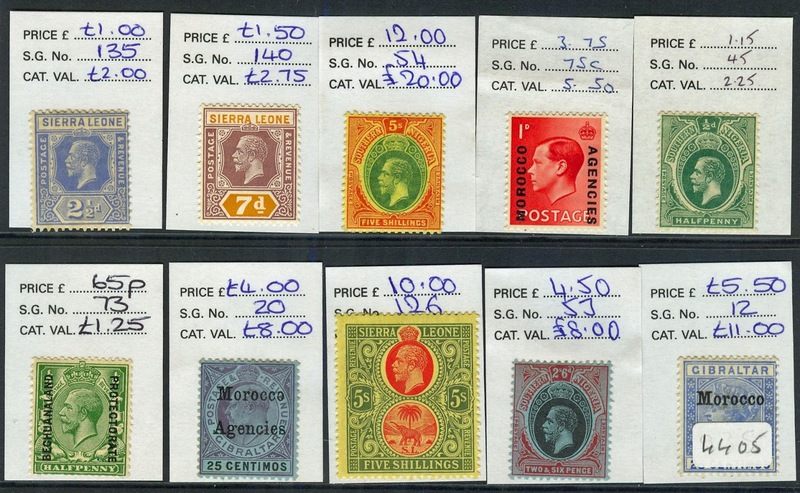 Approvals were once an ideal way of presenting such stamps for sale, it is true. Firms such as Broadway, Ace, DJ Hanson and many, many others in the 1950s and 1960s specialised in doing so. That none do so today is witness both to the fall in demand, since the 1960s, for stamps and today's much higher handling costs. 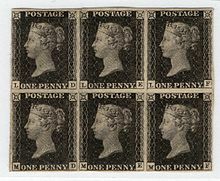 In fact, an approval selection today is more likely to offer a range of penny blacks than a range of penny pictorials or an array of single stamps and sets in the 20p to £50 price bracket. As in the days of my youth what you see is what you get; you buy the very item in front of you. Stanley Gibbons, the world's oldest stamp firm, had a thriving approval business until relatively recently as did many other firms, household names up to the 1970s but most of them no longer trading. I must admit that I have been out of the stamp collecting world for many decades now and when I did this research I was amazed to find that they were still going. On 14/04/1960 the number one single was My Old Man's a Dustman - Lonnie Donegan and the number one album was South Pacific Soundtrack. The top rated TV show was Wagon Train (ITV) and the box office smash was Psycho. A pound of today's money was worth £13.68 and Burnley were on the way to becoming the Season's Division 1 champions. On 14/04/1961 the number one single was Wooden Heart - Elvis Presley and the number one album was GI Blues - Elvis Presley. The top rated TV show was The Budget (All Channels) and the box office smash was One Hundred and One Dalmations. A pound of today's money was worth £13.25 and Tottenham Hotspur were on the way to becoming the Season's Division 1 champions. On 14/04/1962 the number one single was Wonderful Land - The Shadows and the number one album was Blue Hawaii - Elvis Presley. The top rated TV show was Coronation Street (Granada) and the box office smash was Lawrence of Arabia. A pound of today's money was worth £12.89 and Ipswich Town were on the way to becoming the Season's Division 1 champions. The big news story of the day was Georges Pompidou becomes French Prime Minister. On 14/04/1963 the number one single was How Do You Do It? - Gerry & the Pacemakers and the number one album was Summer Holiday - Cliff Richard & the Shadows. The top rated TV show was Coronation Street (Granada) and the box office smash was The Great Escape. A pound of today's money was worth £12.64 and Everton were on the way to becoming the Season's Division 1 champions. On 14/04/1965 the number one single was The Minute You're Gone - Cliff Richard and the number one album was Rolling Stones Number 2 - The Rolling Stones. The top rated TV show was Coronation Street (Granada) and the box office smash was The Sound of Music. A pound of today's money was worth £11.69 and Manchester United were on the way to becoming the Season's Division 1 champions.